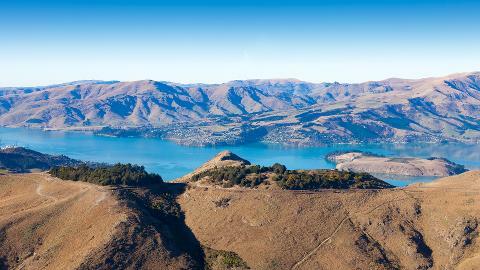 Your shuttle driver will meet you at the Akaroa wharf, for a quick drive to the helicopter pad up in the hills above Akaroa. Your pilot will give you a safety briefing prior to boarding. 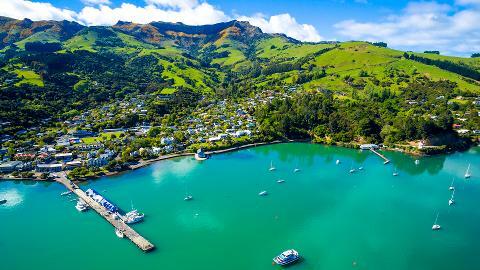 On departing, you will look down on your cruise ship as you fly over the magnificent sights of Akaroa Harbour and Banks Peninsula. 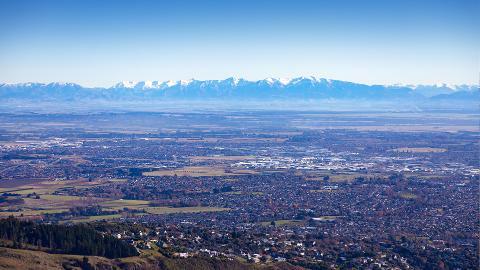 You will then fly over Christchurch City to view the rapidly changing landscape as it transforms from the devastating earthquakes of 2010/11 into a vibrant city. Your pilot will inform and entertain you, pointing out the interesting facts and historical features of the city. 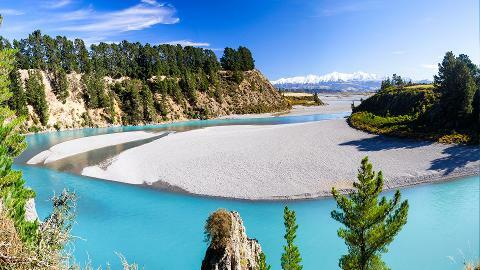 Once you have landed at Canterbury's braided Waimakariri river. 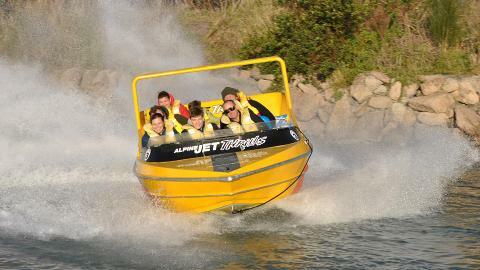 A water safety briefing will be provided and you will be kitted up in wet weather gear and life jacket. 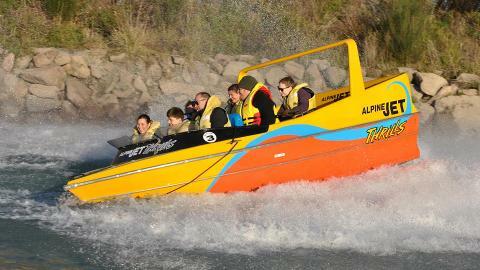 You will then set off on 30 minutes of thrilling jet-boating on one of New Zealand’s most challenging and exciting rivers. 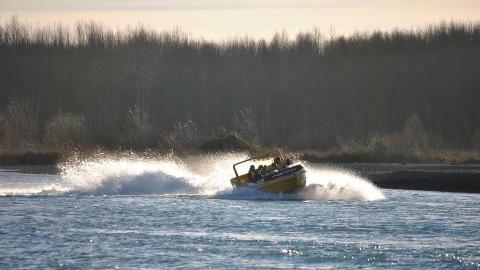 The skilled drivers are highly experienced and their purpose-built boats are carefully maintained. 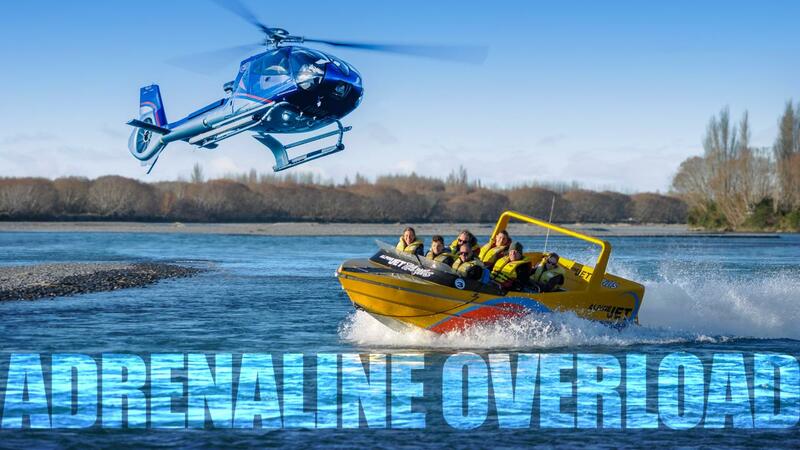 Make sure to take your camera for some of the most dramatic shots you will take while in New Zealand on your Akaroa Scenic flight and Heli-Jet boat adventure. Depart back to Akaroa to be returned to the Akaroa Wharf.